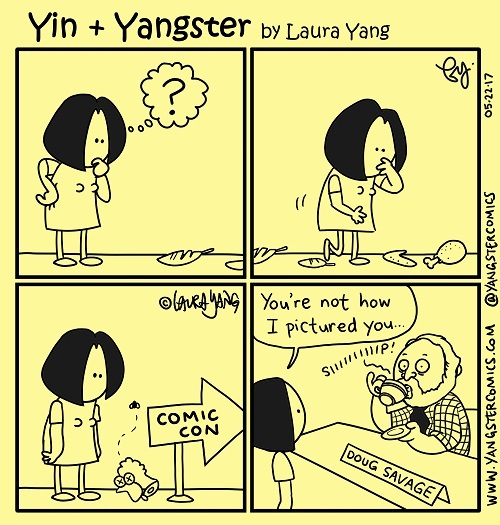 So on May 20-21, 2017 I attended the 5th annual Vancouver Comics Arts Festival (VanCAF) where I met the creator of Savage Chickens, Doug Savage. His name immediately brings musings of whether he’s related to Fred or if he is indeed as his surname implies. Well, I can safely say after having met him, he is a humble, kind and soft-spoken man. I wonder if he ever gets angry!